Becoming a parent is an exciting adventure and what better way to celebrate than with a safari-themed baby shower? Our 16 ounce Mason Jar Mugs are perfect for serving up signature drinks at the event. 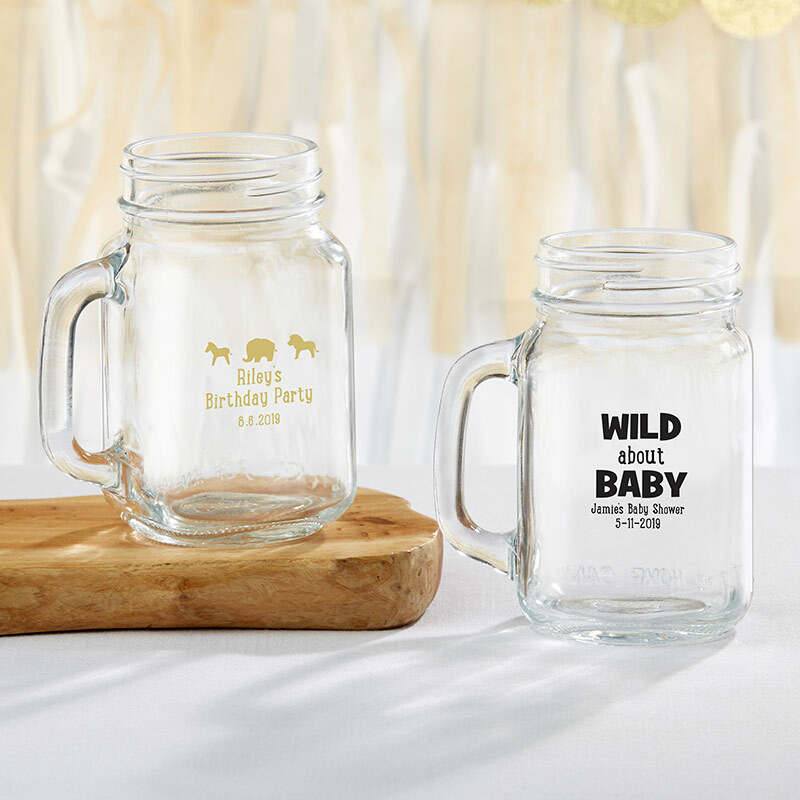 Choose from two adorable designs: one features the phrase "Wild About Baby" and the other is adorned with zebra, elephant and lion silhouettes. Available in a variety of colors, including light blue, pink, gold and more, there is certainly a print to match your shower décor. Customize these mug favors with baby's name or the event date for an even sweeter guest gift. 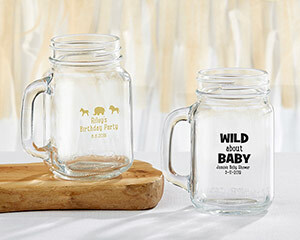 Two designs available: All Lined Up design features zebra, elephant and lion silhouettes; Wild About Baby highlights the text "Wild About Baby"